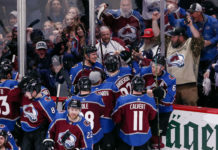 The Colorado Avalanche put up a valiant effort in Game one of the Western Conference Quarterfinals against the President’s Trophy-winning Nashville Predators, but ultimately fell 5-2 and now trail in the series, 1-0. What did we learn from Game One? -The Avalanche can hang with this team. They came into a very hostile environment and went toe-to-toe with a great team. Through two periods, the shot-attempt battle was completely even. The Avs fell apart a little bit after falling behind in the third period, but you have to be encouraged with how they played for the majority of the game. If they continue to play like that, they can make this a series. 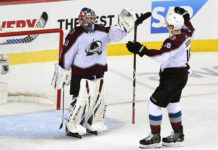 -Two big pieces of the Avalanche’s future on defense shined bright. Nikita Zadorov started the game off right, shooting a laser of a wrist shot over Pekka Rinne’s glove to give the Avs the early lead. Although he was taken to school by Filip Forsberg on the Predators’ fourth goal, 19-year-old Samuel Girard may have been the best skater on the ice for the Avalanche. 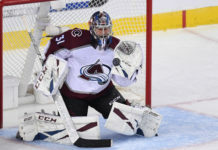 -The Nashville Predators took it to the Avalanche physically. Nashville was credited with 36 hits compared to the 24 the Avalanche were given, but it felt like a bigger gap. Ryan Hartman and Austin Watson, in particular, were aggressive and made them pay physically. Sam Girard took a beating from the Predators’ forecheckers like we haven’t seen all year, and it will be interesting to see how the undersized defenseman holds up over the entire series if that continues. -Pekka Rinne will be tough to beat. 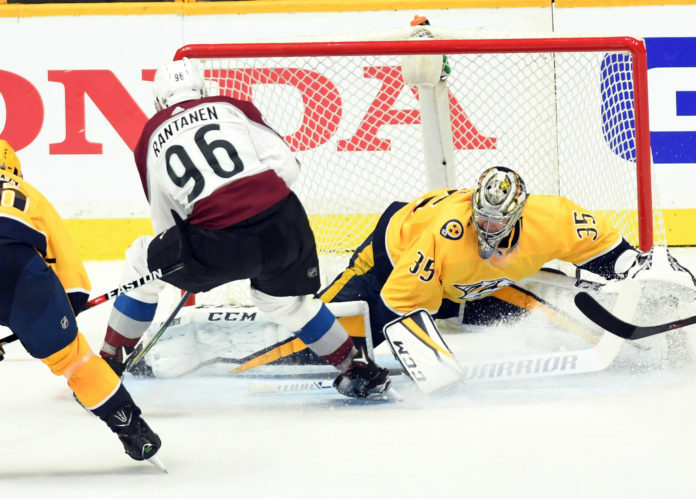 Rinne made some spectacular saves on each member of the top line at various moments of the game that could have swung the momentum the Avs’ way. Outside of the Zadorov goal, he was a rock all night and will make life difficult for the Avs. -Tyson Barrie was a complete nonfactor. The high-scoring defenseman did not register a single shot on goal and struggled against the forecheck of the Predators. For the Avs to have a shot in this series, they will need Barrie to be much better.